Valletta 2018 is collaborating with The Rubberbodies Collective and Spazju Kreattiv on an upcoming exhibition, Il-Pinnuri, which is running at Space A at St James Cavalier from Friday 8th April till Sunday 1st May. 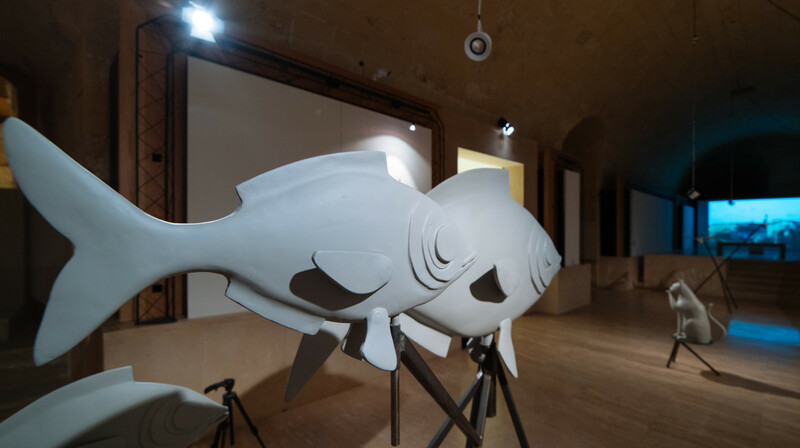 The exhibition is part of Il-Warda tar-Riħ (the Windrose Project), a project in the Valletta 2018 Cultural Programme which celebrates wind lore in four localities around Malta and Gozo, these being: Sliema, Marsaxlokk, Mġarr (Malta) and Għarb. The localities, which are diverse in nature from seaside villages to rural and urban areas, are significant compass points in the Maltese Archipelago. Curated by The Rubberbodies Collective, Il-Pinnuri sheds light on the process of creating public art sculptures, designed with the residents of the four localities. Each sculpture represents the community’s relationship with the wind, as well as related popular lore and ancient traditions passed down orally from generation to generation. The preservation of these stories allows for the rediscovery of traditional Maltese connection to the elements and natural rhythms. Stories tied to the wind include the direction a cat faces when washing itself, the glow and shape of the moon, the ringing of church bells to ward off destructive winds, as well as the fear of lost lives when winds are too strong. These stories served as subject matter for the sculptures created, which will be on display during the exhibition. The next phase of the project includes a wind installation in Marsaxlokk which will go up in May. Valletta 2018 stimulates cultural, social and economic regeneration in Malta’s villages, towns and cities through dialogue with various communities and innovative practice. The Valletta 2018 Cultural Programme includes all generations and sections of the community through interaction, play, imagination and passion. Each individual has a story to tell, each unique in its own way.